Subscribers considering going Free-to-Play should also read carefully, as I compare pricing to the standard 1-month rate of $14.99. Some of the package options when only playing one way (such as Operations only) save a bit of money from the subscription. The following are the current available pricing options and the price per point. First off, if you like the game, you should definitely make at least one of the following purchases to obtain Preferred Access. These are all at LEAST $4.99 in the Online Store. After you make this purchase, Preferred Access will be granted to your account permanently, with the following benefits. What Can I Get With My 450 Initial Cartel Coins? Now that you’ve made that initial 450 CC purchase, what should you buy? Here are some suggestions. Overall, prioritize features over cosmetic purchases. Look for things that are on sale, but assuming sales are not running on anything useful, here are some unlocks for one character that would be under 450 CC, in the order I would suggest them. The last three I am almost loathe to recommend, mainly because I cannot believe you have to pay to unlock them. The Unify Colors and Hide Head Slot do pair quite nicely with the Show Title for an even 450 CC, though. There are a few other items under 450 CC, but I don’t deem them necessary. Companion Customizations are cool, but if you are only leveling, you won’t really care probably. Display Legacy Name Unlock is nice, but not crucial. The only reason I included the Display Title Unlock is that it is fairly cheap, and titles pop up throughout the game. It is sometimes very enjoyable to earn a new title for no other reason than just to earn it. I would highly recommend the Additional Quickbar Unlock until you have four total. You can live without the 5th and 6th, but the number of abilities you will get before you hit level 50 will make the two unlocks worth it. Leveling should be fine with only three bars, but you will be less effective in PvP and raiding both. If you want to make sure your characters are taken care of, the best thing to do is to make as many characters as you can and purchase the account unlock for 540 CC, making it a total of 1080 for both unlocks. Depending on what you are wanting to do, that 450 CC can go very fast. It may be a good idea to purchase more coins, in which case, you will want to think about what you want to do in game. You can spend a lot of money on cool cosmetic stuff, but I will assume that you want to be more practical and maybe raid once a month, but not do much else, or something similar. Here are the “packages” I would recommend for the Casual Raider, the Casual PvPer, the Casual Crafter/Trader, and the Casual Leveler. If all you are doing is Operations, then it is a pretty good deal to go with the Weekly Operations Unlock, as you are getting that at a nice discount from the $14.99 monthly rate. You still have to put up at least $12.36 up front for the one-time unlocks, but still. If we take the really, REALLY rough approximation of $4.99 per 450 CC, then the Subscriber PvP experience is basically a subscription at $15.08 per month. If we go on the other side and use the price per CC of the 5500 CC package, then it is $9.89 month, so you are saving quite a bit per month if you go that direction. Its pretty obvious that the maximum package is very expensive, but you are unlocking a lot of things. These unlocks can be obtained via credits for subscribers, but the cargo space ranges from 400k for the third tab to 2 million for the fifth tab. The manageable package is very affordable, and it allows those who manage their inventory well to craft and trade reasonably, for less than one month’s subscription. Of course, the overall benefit of all of these packages is they are not recurring, so they are, in the long run, less expensive than a subscription. SUBBER-TIP: Buy every character one cargo hold unlock for 40,000 credits, then before buying the 400,000 credit unlock, purchase an account-wide cargo space unlock. For 12 characters, that translates to 4.8 million credits that you saved. If you don’t buy the 40,000 unlock first on a character, then that character will receive that unlock instead, saving you less money. There are currently no unlocks required for a good leveling experience, aside from boosts. I would personally only buy the 5-pack of XP boosts, as it gives a 25% discount (i.e. buy 4, get 1 free). These last for 3 hours apiece. I will have more information for the Casual Leveler when character slots are added to the Cartel Market. Let me know if you have any questions or feedback in the comments below, and I will be happy to discuss them with you! Check back frequently for changes as the Cartel Market shifts and changes with the new in-game economy. That’s pretty good guide. After leveling to 50 what can you do without purchasing any weekly passes? You can do the Ilum, Corellia, and Belsavis dailies (not Section X, though it is on Belsavis). This gives you money that will be capped at a certain point and daily commendations that can be traded in for gear, recipes, cosmetic items, etc. You can run as many Flashpoints as you want, though you cannot get gear from more than three of them per week. You can run five Warzones per week. For a decent beginner 50 set of gear that is not Artifact, and thus can be worn without the Artifact Gear Authorization, go to the PvP Terminal when you hit 50 and pick up the Recruit MK-2 Set. This will give the bare bones gear that you need for everything else. Without Artifact Gear Authorization almost everything you do at level 50 is for the fun only, as almost everything that drops is Artifact level. Also, the Hard-Mode Flashpoints are really balanced for people with level 50 Artifact gear, whether that be from dailies, crafting, or regular level 50 Flashpoints. Regular Flashpoints are generally fine with the Recruit Gear. Hard-Mode Flashpoints really aren’t. Because of this people might resent if you join up for HM Flashpoints through the group finder if you are only wearing Prototype gear and you have not purchased the AGA. You might get kicked by less nice groups even. It isn’t really malice, they just don’t see a reason for players to want to carry you through the Flashpoint only to have you win a roll on something you can’t use. It is an unfortunate side-effect of the system. Crafting is always an option, though it would mostly be not-for-profit, due to the credit cap. Finally, you can do what many of us did when we cleared raids and tired of PvP for the long periods of time between content updates: roll an alt! It is a rather enjoyable thing to take an alt though a new story, racing through world quests. The third or fourth time and it is a little more tedious, but the second time is often great! Do you know anything about the authorization requirement to use a lightsaber? Lightsabers are granted naturally in the first 10 levels of the Jedi Knight, Sith Warrior, Jedi Consular, and Sith Inquisitor stories. 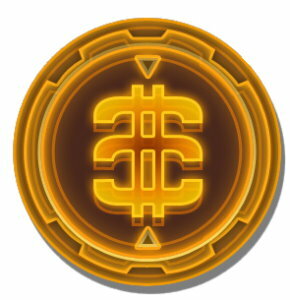 There are no costs involved in Cartel Coins. When I buy quickbars and crew skills, are they unlocked forever or on monthly basis? Also are they unlocked per character or for all characters I have? Thanks. They are unlocked forever, and you have the option of buying them per character or per account. Yeah, if nothing else, it has about 25 single player games in the story alone, all free! It is a great deal! don’t expect to play for free for long though, after you hit level 15 you start to run into barriers, you really need to get preferred status sooner rather than later. Yeah, it is like a lot of the “free to play” games. It is going to be inconvenient, but free. That is part of the system. This article is exactly for how to spend the least amount of money and get the most amount of features. I’d be a returning player if I came back, with no interest in PvP and (for now) no interest in PvE Heroics. I’d strictly just like to experience all the remaining storylines with at little fuss as possible (and at my own pace with F2P). If I understand correctly, there are Class Mission XP Legacy Perks (6? of them that stack) that can be bought from the store. Assuming I just want to play the unique class missions and no side content, are these perks worth the price? About how many would I need to buy to keep up if only leveling through class missions? All six for each character? Also, I ducked out before the Legacy system was fully implemented – I’m assuming when the 2 character limit kicks in that you can delete a character and maintain whatever Legacy points, traits, unlocks for your future characters? Thanks!! 1. You probably won’t be able to level up just with class missions. You will need to do some side quests. The nice thing about the XP boosts is you can do FEWER side quests, though. You might only have to do every other planet. 2. The XP boost with the Legacy system are pretty expensive, at 275k for all five unlocks. You also can buy the XP boosts in the store, as they stack. 3. Character perks in the legacy system are just that: character specific. Any XP boosts will be only for that character. However, your legacy level and the account unlocks like the mailbox on your ship are account-wide. You will also keep the legacy abilities and the class buffs from a character even if you delete him. 4. There is a patch coming up that will give you four quickbars as a preferred player, as well as 6 character slots. That should be enough to hold you until they give you the ability to buy character slots, if you don’t want to delete anyone. Welcome back to the game! Let me know if you have any more questions! Were the Hutt and Faction markets merged? I see there was talk about it in April, and it looks like I’m able to see a sale that I created in Fleet on the Nar Shadda terminal. I’m debating the market terminal unlock for your ship. Without a fleet pass, it seems pretty valuable. Especially if the markets were indeed merged. Yes, the markets were merged a while back. I am myself contemplating getting the ship unlock, as I get massive lag on the fleet, but I don’t have enough Cartel Coins yet. I think I will be getting the cargo bay unlock first too. The account-wide unlock is just too good of a deal for me. why purchase unlocks per account, if I can only have 2 characters, and buying separately for two character is cheaper? If we we can unlock characters in the future will my purchases extend to them? If you are preferred, then you get more slots, then it would be cheaper. Subs definitely get use out of this, as they get 12 characters. I saved 11 million credits by buying two vault unlocks for my account on 12 characters. I’ve bought an equipment artifact unlock during preferred, then i subs. when i become preferred again, will i have to buy a new equipment artifact unlock? Nope, that character is forever unlocked! Anytime you use an “unlock” it is permanent for that character, and sometimes for account or legacy, depending on whether it mentions those. if i buy for the account, something like inventory space, instead of for one character, does this apply to future characters or only to characters already created? also, is this per server or across all servers? Is it possible to create 6 characters, as a premier account, on each server, then get the account unlock for all servers and all characters? It applies to all current and future characters on all servers when you buy “account” unlocks. “legacy” unlocks are only that server. I started a new sniper on a different server and I had the two cargo bay unlocks I had purchased on my original server. It didn’t save me as many credits though, as the first two unlocks are way cheaper than the later ones, and I had unlocked the first two on all of the current characters when I bought the account unlock. Geldariaon you sir are awesome to the nth degree. What about the digital upgrade pack? at level 50 i recommend playing your maximum weekly limit and switching characters; should keep you plenty busy; if you really want to play more, don[t buy the weekly passes, buy the monthly pass, lol… they don’t sell 1-month cards, but you can sub then quit immediately, unless they have the fine print that you get charged a minimum of 2 months; any word on this? A nice article, special thanks from a fellow games addict! Ive Belén Praying this game over thd last cuple of weeks and it’s great, a few days ago I decided to move to preferred status and get the extra crew skill and then buy the 3rd crew skill in the CC, I also got the xtra GTN space how ever I’m wanting to spend my CC as wisely as possible as I won’t be making another Purchase of CC for a long time. Thanks for the artical, I think I’ll get the artifact authorization as it seems like if will be a big help, also maybe the pack that includes the speeder authorization as it would help loads getting around. Not sure if you’re still answering questions. But if you’re free to play, and you got a friend to buy you authorizations with credits (because of the 200k credit cap, and some items being over 200k) on the GTN, could you get he or she to put up a low cost item, for a crazy price – which you could buy it for? in order to return the money over time, with not being able to send credits as f2p. Sage “Completed” When Is The Patch Again?